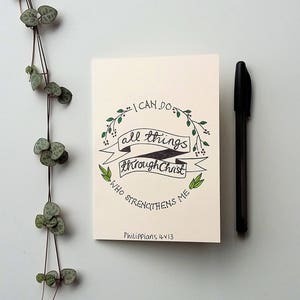 A wonderful Bible verse to give encouragement and support. 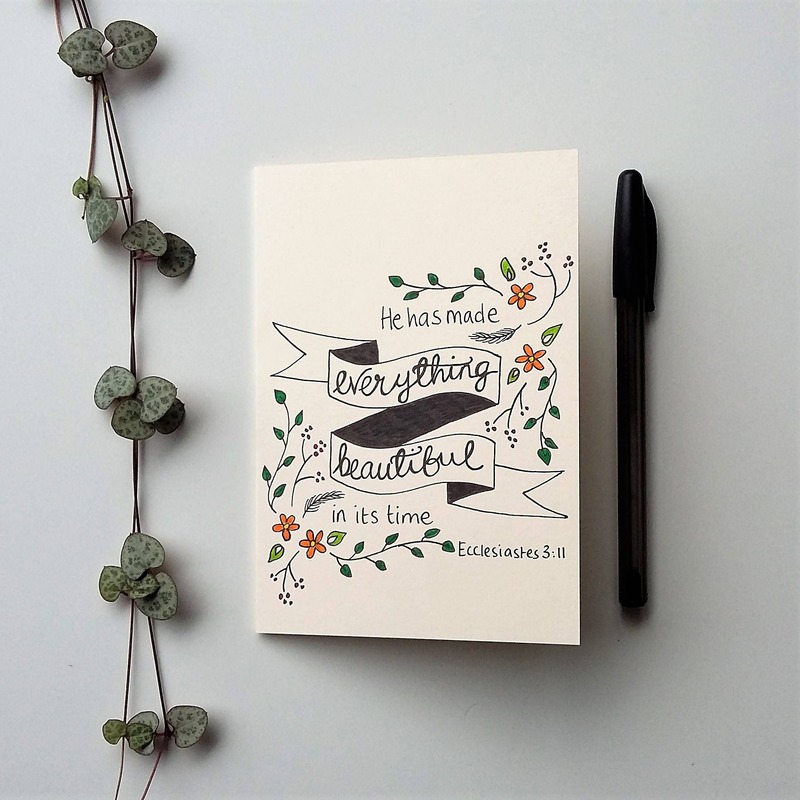 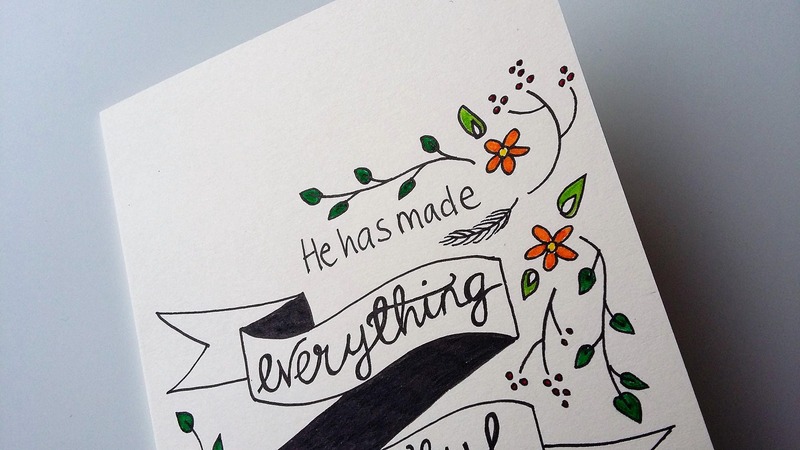 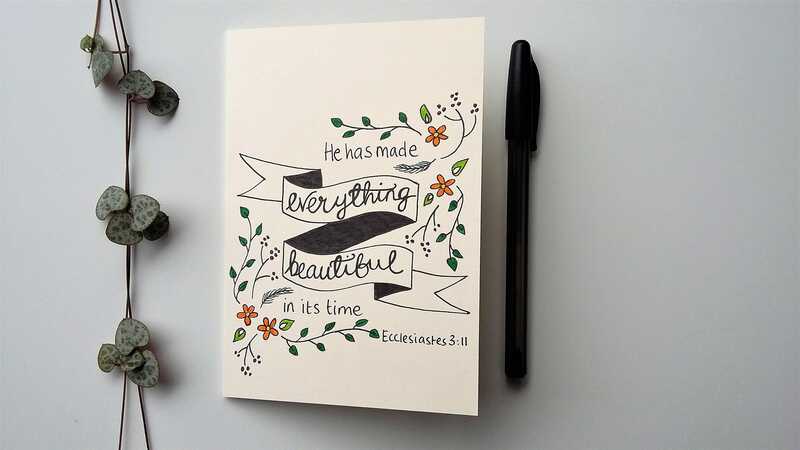 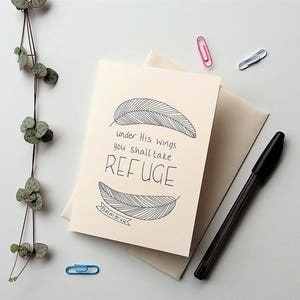 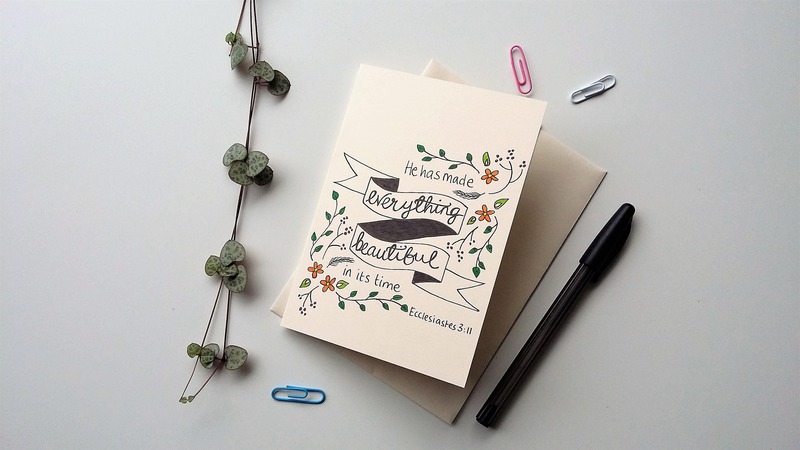 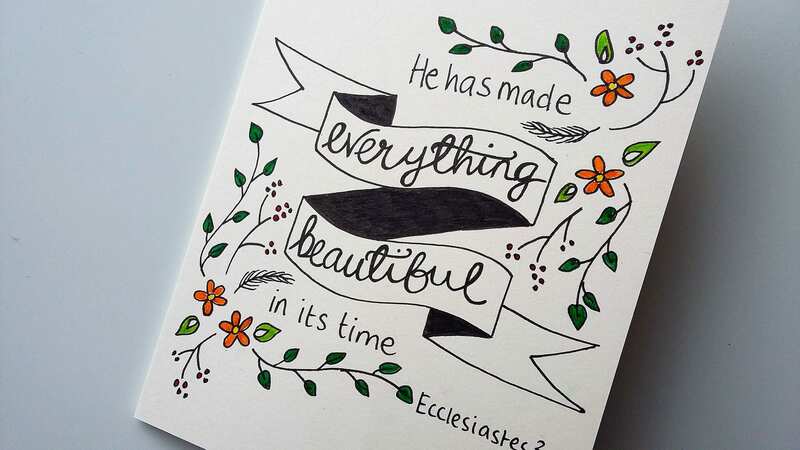 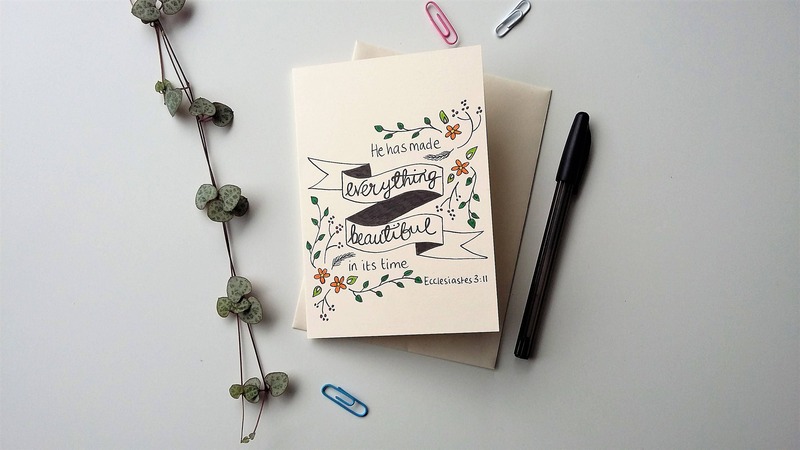 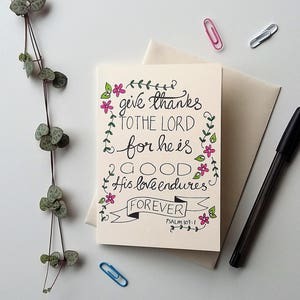 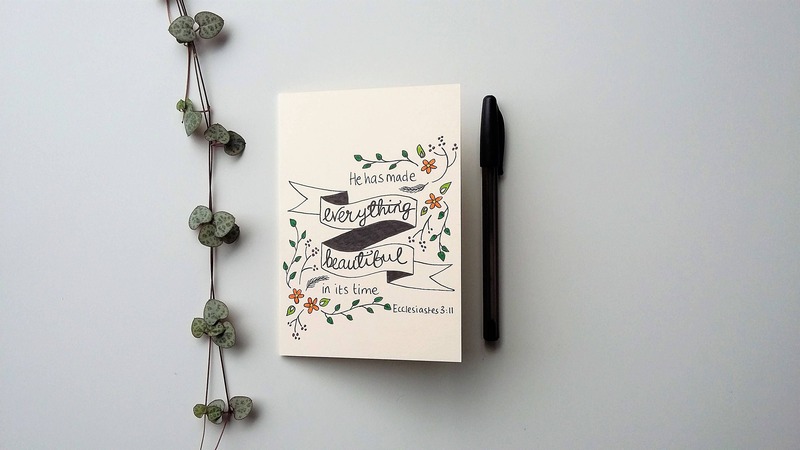 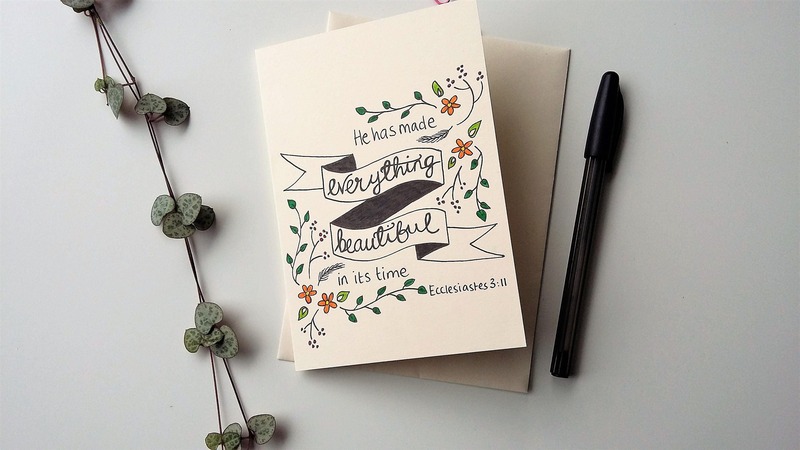 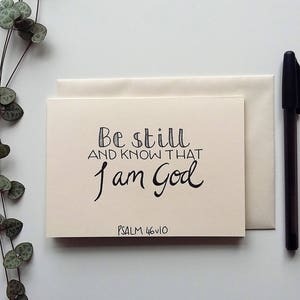 This greeting card features a well - loved Bible verse from Ecclesiastes, carefully hand drawn in mixed modern typography. 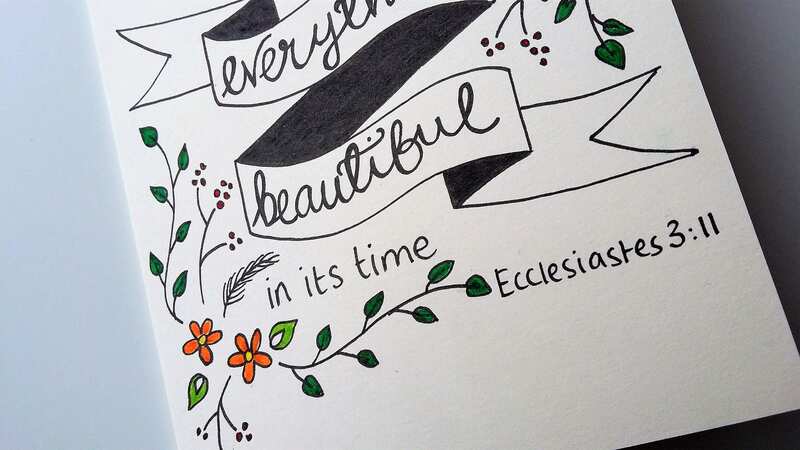 Delicate flowers and leafy vines are added for a colourful accent.